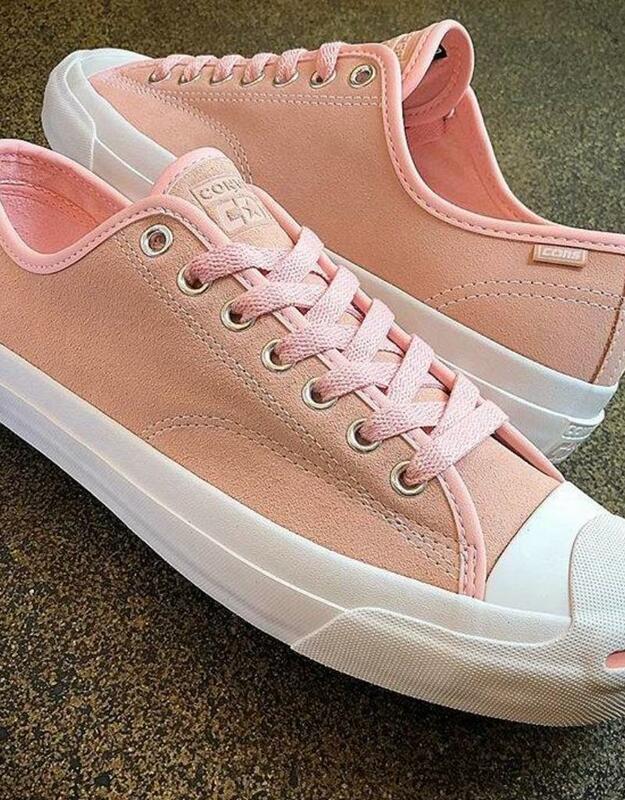 Jack Purcell Pro Storm Pink and Egret Shoes by Converse. Part of the Jack Purcell Pro series. Suede upper with rubber toe and bumper. EVA sock liner for cushioning.